Just the December security update. Me too, horrible, do you think it can be changed somewhere in the settings ? I've looked in the launcher settings and only to do it is to switch to bb7 or BlackBerry 10 apps. So we have to hope enough people complain and they give us a 4th option or remove this square style of app icon completely either in a OS update, launcher update or hub suite + update. It's weird, how this new style icon was pushed out via a OS update rather than a launcher update though Google Play though. I'm assuming the icons are from Google not BlackBerry which is why there's not an option to change them in the Launcher settings. You can install any icon set from the Play Store to replace your whole suite to another style if preferred. Press and hold on a blank spot on your home screen, press Icon Packs, download a new one using the Play Store link in the top right. If I am nont mistaken, square icons is an Android P thing....if that so, let's do that math here: If the last OS update on the KEYᵒⁿᵉ did not get square icons whereas the KEY² did then this might point out to what's ahead of us! I am wondering why I didn't get the square ones. I kinda like the look rather then round. Because you're not on the December patch? RegN and Vistaus like this. I see you have TapaTalk. Does it integrate with Hub? Not that I can see. But I get to emails in duplicate when post get made in threads I'm part of. I have think that is crackberry sending them. I get 2 same but different. How can you see I have if? The issue for many with wifi connection after the October patch is repaired. If your build is basically the same as ABM374, you will also notice that WiFi calling enable has been removed unless you search for it and then you cannot enable it. As for the square icons, I prefer them. 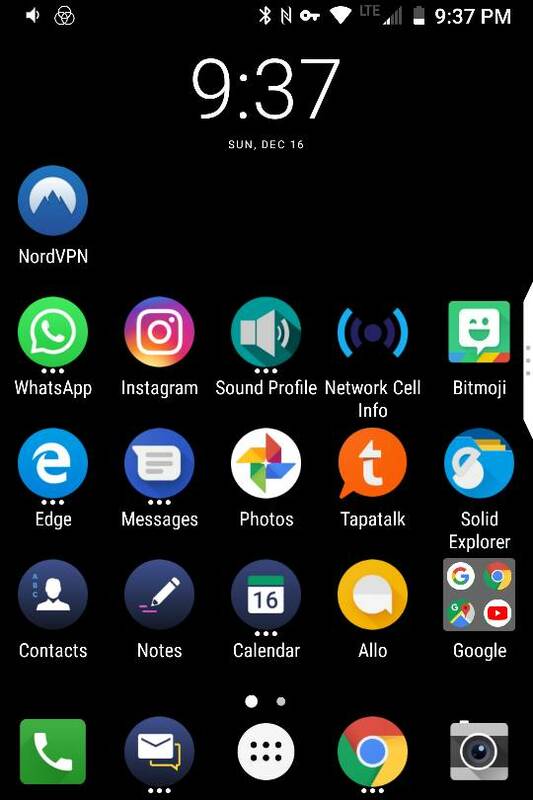 BlackBerry icons are a little smaller, no border and square, Android icons are a bigger square with a huge border around them, they need to fill that square or it looks ridiculous! I noticed HW keyboard works correctly inside Calculator app with QWERTZ layout now. I totally agree, they are awful!